Spring has sprung and that can only mean one thing: It’s Easter time. If you still haven’t decided where to spend Easter this year, check out our list of 18 places to go enjoy a day out in the UAE. Families with children aged two to 12 can experience something different this spring at Legoland Dubai, part of Dubai Parks and Resorts. Inspired by Lego characters, Legoland Dubai will be offering a range of games that families and friends can enjoy together. Kids can team up with their best buds, use their imagination to work together and complete five themed challenges. The activities include building their own Easter baskets; a Lego Easter Egg hunt around the park; making friendship bracelets; helping create a Lego Spring Garden with colourful eggs, bunnies and flowers in Miniland; and a Friend’s Dance Workshop. Upon the completion of each activity, successful guests will receive a chocolate Easter egg. This Easter enjoy an afternoon tea on the QE2, at the Queen’s Grill. The theme will be an Alice’s Easter Wonderland, where you can discover a fancy fairy tale twist on the classical tea and choose from a selection of Eat Me finger sandwiches, scones, Queen of Hearts Tarts, Drink Me fresh fruit shooters, pastries, cakes and more. 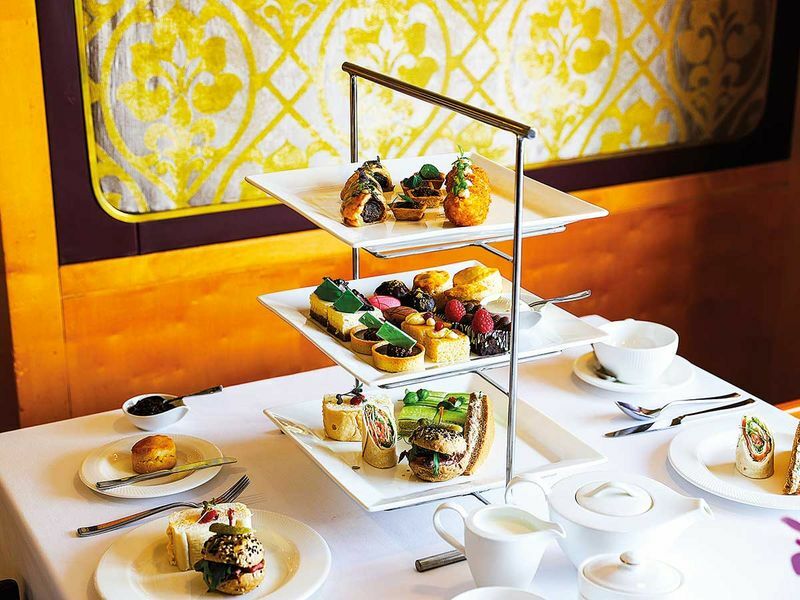 The Afternoon Tea can be upgraded to one of 10 beverage packages including grape and bubbly. 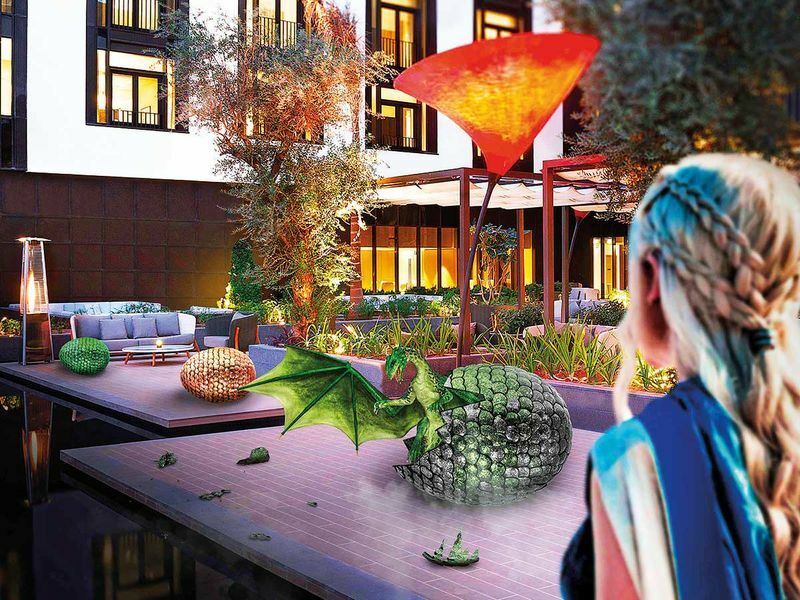 La Ville Hotel and Suites has collaborated with Escape Hunt to present The Dragon Egg Hunt this April. Gather your army of friends for an adventure. The hunt will take you around the hotel and its restaurants. The group that completes the challenge the fastest will win a free night’s stay at La Ville Hotel and Suites and a free Escape Hunt game at Galleria Mall, Dubai. When: April 19, April 20, April 26, April 27, May 3, May 4. Slots, Friday and Saturday from 2pm to 9pm, with slots starting every 30 minutes. 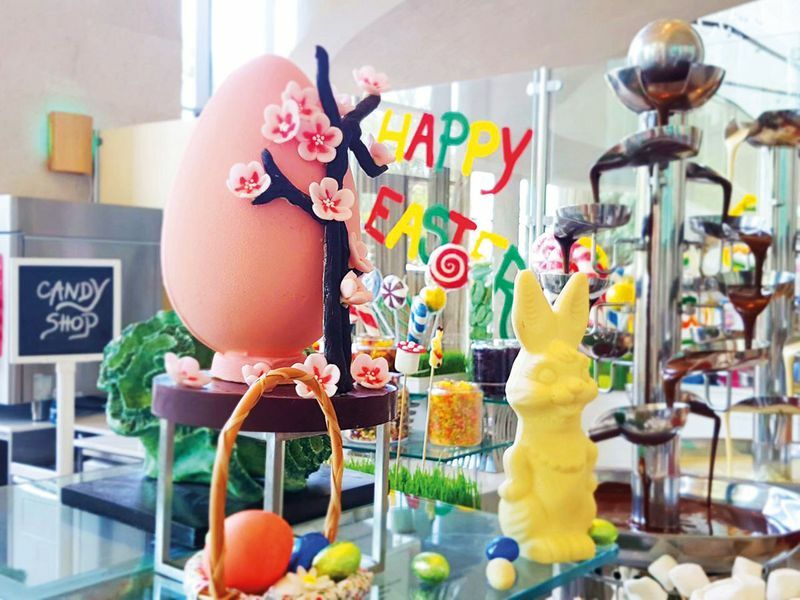 The Atrium will celebrate Easter with a themed lunch featuring a buffet of local and international dishes with Easter favourites, live cooking stations as well as a colourful dessert display. The hotel’s younger guests will be entertained at the cinema and at the kid’s play area. The Easter bunny will be visiting during brunch time to share gifts with the guests. Children will get a chance to show their artistic skills in decorating Easter cookies at Pronto Cafe. They will be equipped with a cookie art kit containing a large baked cookie, colourful icing and edible decorative items to create their masterpieces. The Easter bunny will pay a special visit to the event, bringing along chocolate giveaway treats, followed by a hotel-wide egg hunt. Kids can take home a cookie art kit and hot chocolate. 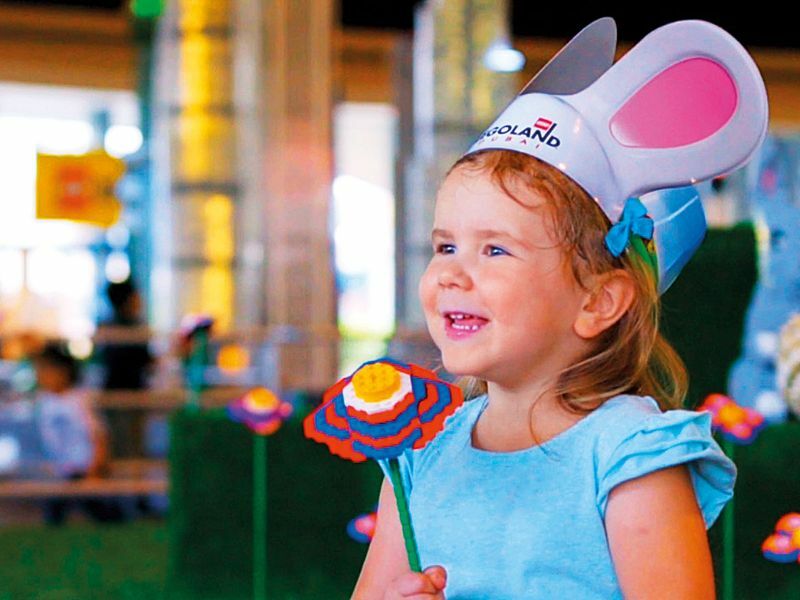 Address Dubai Mall will have a host of Easter-themed activities. Start off with a hunt for a Damiani Golden Egg with a diamond pendant worth Dh8,000. There will also be a Mediterranean brunch featuring live cooking stations. The Blacksmith Smokehouse is rolling out a one-off, Easter-themed special of its Hot Turkey Thursday evening brunch on April 18. Starting at 7pm, the unlimited three-course evening brunch features all the usual Hot Turkey favourites, including succulent BBQ chicken wings, crunchy corn Hushpuppies, pulled lamb sliders on mini buns and chicken tenders. There will also be new menu items just for Easter, including a smoked orange rabbit with roasted honey-glazed Brussels sprouts. The one-off Easter menu also includes mains such as smoked turkey, smoked brisket and fried catfish, alongside traditional Deep South sides of BBQ beans, sweet potato and ‘slaw. For dessert, the Easter Orchard Cobbler, a seasonal celebration of Southern fruit favourites including peaches, apples, blueberries and strawberries, offers a post-main course sweetener. Price: Packages start from Dh250 including soft drinks, Dh350 inclusive of house beverages and cocktails, and Dh579 for sparkling and house beverages. Kids can take part in an Easter egg hunt, decorate eggs with Chef Joanne, or crash around in bouncy castles and a tepee in the garden area. Get treated to a special Easter menu, made up of a three-course menu inclusive of a roast lamb carvery. Easter brunch will feature salad stations, tapas, meat carveries, barbecue stations and dessert stations with Easter eggs and chocolate fountains. The kid’s area at Palmito Garden will be dedicated to all kinds of fun and games including bouncy castles, arts and crafts, face painting, and stall games. There is also a mini golf course for kids. Cipriani will bring you a taste of Italian tradition with a specially crafted Easter menu. The feast will begin with a choice of baked white asparagus with hollandaise sauce or buffalo mozzarella, followed by white tagliardi “pasticcio” with veal ragu or risotto with white asparagus and red prawns. They will also bring out a classic lamb spezzatino with artichoke and mashed potatoes or pan seared monkfish. To end on a sweet note, enjoy a tiramisu for dessert. The Bay restaurant is hosting an Easter buffet on April 19 with a range of specials including sharing starters, a carving station, a dessert buffet and a kid’s buffet. With two terraces overlooking the beach, the brasserie-style atmosphere is a great spot to celebrate the occassion. The little ones can enjoy Easter games at Little Nomads including Easter egg decorating, jewellery designing, bunny hunts and face painting. Yalumba’s usual Brunchology will have a twist to celebrate Easter. Stick around for an egg hunt, fun activities and many chocolate-themed events that adults and kids can enjoy. Bringing live music, a buffet spread, which will feature a roast turkey and cured meat cuts. The Duck Hook is laying on a roast beef or roast chicken Easter lunch from April 20 to 21. The Duck Hook brings a casual European gastropub experience to Dubai Hills Estate, with daily happy hours, roast deals and a quiz night. To mark Easter, Segreto is offering a three-course meal. Located at the Souk Madinat Jumeirah’s waterways and summer houses, Segreto’s Easter offer is available during lunch and dinner. Head to the waterfront Tuscan spot at Souk Madinat Jumeirah for Italian cuisine seasoned with Mediterranean flavours. This venue is serving up a host of Easter specials for 10 days between April 17 to 27. The colourful, casual dining restaurant that blends the flavours and aromas of Asia, is hosting a fun-filled, family-friendly “Meet the Wokkers” Easter brunch on Friday. With a special appearance from the Easter Bunny, an egg hunt extravaganza, spot-prizes, balloon bending and face painting, the brunch features a number of Asian favourites such as tempura prawn, satay chicken skewer, vegetable spring roll, Thai green curry, Kung Pao chicken and prawn Singapore noodles, as well as free-flowing beverages and beach access. Price: are Dh170 for the soft drinks package, Dh295 for house beverages and Dh395 for the sparkling package. When: April 19 from 12.30pm to 4.30pm. Spend Easter Saturday in a beachfront setting at Geales. Brunchers can enjoy a wide variety of great British classics, including duck liver and chicken pate brioche, BBQ wagyu with meatballs, a live carving station that offers roast rack of lamb, roasted striploin of beef, caramelised onion tart with balsamic and much more. For the finale, guests can head to the Sweet Shop and tuck into a bottomless array of traditional British Easter and international sweet treats. Price: Dh210 inclusive of soft beverages, Dh360 per person inclusive of selected house beverages and Dh150 for children aged from 13 to 18 years inclusive of soft beverages and those below 12 years are free of charge. Brasserie 2.0 will host a special Sunday Brunch! The dining affair will also have a live four-piece band and a whole host of egg related activities for the kids. With a special appearance from the Easter Bunny, an egg hunt in the Brasserie 2.0 Gardens, a magic show, a bouncy castle and more. Sloane’s will be serving up the full experience on Easter Sunday. Fish lovers can enjoy a seafood buffet which offers poached shellfish, freshly shucked oysters, Atlantic razor clams, black tiger prawns, creamy lobster, Gulf blue swimmer crab, freshly rolled sushi and more. Guests can also indulge in have roasts including beef prime rib, beef wellington and lamb leg with herbed potatoes. Sloane’s also offers a pastry corner with a wide selection of international and local desserts, soft crepes and fluffy waffles, as an ice cream counter. Sloane’s will also keep the little ones entertained in the Gallery, with exciting Easter games, an Easter egg hunt that will get the kids excited and a special appearance from the Easter Bunny to spread the joy. Price: Dh395 per person with soft beverages and Dh495 with selected house beverages. For every paying adult, up to two kids under 12 can eat for free. Enjoy an Easter brunch offering an international feast as well as a dessert station with a twist. There will be an egg painting competition, face painting, Easter egg hunt and a mini disco to keep the kids entertained as well as plenty of chocolate treats. 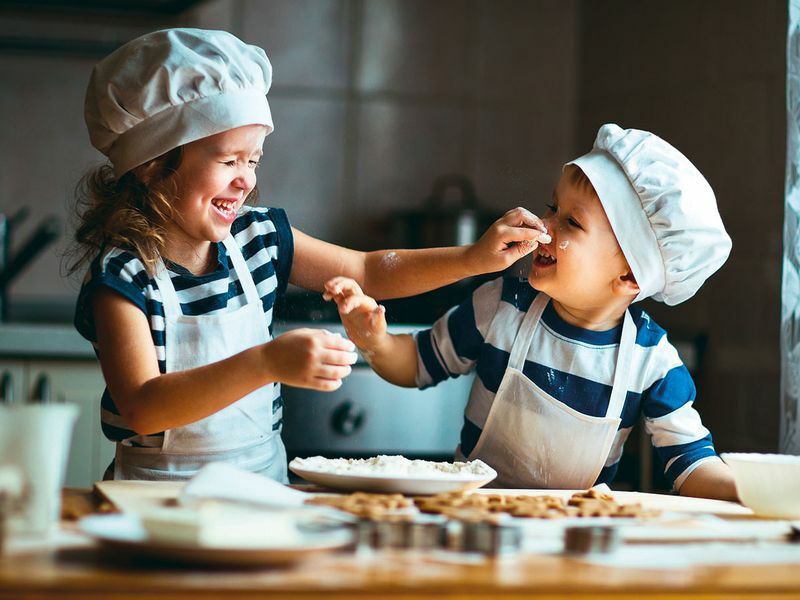 The French restaurant Cote Jardin is hosting an Easter brunch coupled with games to keep the kids on their toes; think Easter games, egg hunts, face painting and more. The brunch includes a vast selection of cuisines as well as live cooking stations and desserts. Olea hosts a special edition of its Epicurean Brunch on Easter Sunday. The menu will feature traditional dishes such as rabbit galantine with grilled pears, loaded deviled eggs with turkey bacon and scotch eggs with tomato relish as appetizers. For mains, there is a selection of signature dishes such as braised lamb shank, roasted butternut pumpkin with goat cheese, cottage pie, roasted turkey breast and lamb leg. Desserts include coconut cream pie and orange creamsicle fudge making an appearance alongside a donut wall, a chocolate fountain and the customary cookies, brownies and cupcakes. Children can also enjoy a variety of fun activities including egg hunting and face painting.